A month after my own heart, really, showing up well after its original ETA. Better late than never, I suppose, and much better than January making an obscenely early appearance. It was very kind of July to show up in September. A month after my own heart, really, showing up well after its original ETA. Better late than never, I suppose, and much better than January making an obscenely early appearance. Poor Calgary. Still, it was just two weeks ago that people were bidding adieu to the hot season, assuming it dead and gone simply because it was Labour Day. Meanwhile, my calendar begged to differ. There were still three whole weeks left of my absolute favourite season, and fortunately, the forecast backed it up. In fact, if I were a betting woman, I'd put my money on Sept. 5, with its 41°C temperature and trusty sidekick, Oppressive Humidity, being the hottest day of the year. So take that all you Debbie Downers so quick to dismiss summer and count your fall pumpkins before they ripen, even if today, as I write, I am wearing long sleeves and pants, socks and a scarf. On that note, I'm squeezing every last bit out of summer that I can and I'm doing it with the help of the everbearing strawberry. Don't tell the peach, but the strawberry caused me to stray from my usual fuzzy fruit fling this year. I don't remember them ever tasting as good as they did this year, abundant in that unmistakeable sweet-tart back and forth in every bite that makes it impossible not to pledge allegiance to the strawberry. I have not been able get enough of them and will gladly shell out the $5 that could get me three litres of peaches for a quart of local strawberries instead. And that's what I'm doing while others are chomping at the bit to turn on the oven and fall into the rhythm of cold weather comfort food. I'm clinging to every last taste of summer I can because the winter drought of fresh fruit other than apples (and the odd pomegranate and orange) is just too long. Almost unbearable were it not for knowing that a corner will be turned toward summer again, and again, there will be an abundance of beautiful berries and stone fruit in my diet. Speaking of abundance, cucumbers recently became the new zucchini in my fridge. In all my efforts to free up some vegetable crisper space by tearing through my sizable summer squash stash as fast as I could, I failed to notice the mountain of cucumbers growing in the neighbouring crisper drawer. Truth is, I've only recently acquired a taste for cukes in forms other than pickled. Perhaps it was out of necessity because they make regular appearances in my CSA baskets. My favourite way to eat them fresh has been macerated with some cider vinegar, which really doesn't stray far from my pickled comfort zone. While that way of enjoying them usually helps me whittle down my collection quickly, the discovery of the growing cucumber conglomeration caused momentary panic. Fortunately, there was a quart of those strawberries over which I've been going gaga on a shelf nearby. It caught my eye and made me realize I could squash Mt. Ever-cuke like a culinary Edmund Hillary and Tenzing Norgay. Strawberries and cukes go together like — well, like Hillary and Norgay, actually. And with the heat last week and my refusal to let summer go, a frozen concoction seemed the best way to say "Whoa Nelly" to fall. It helps that Niagara is home to the second-largest producer of strawberries in Ontario. Tigchelaar Berry Farm, operated by brothers Dan and Jeff, churn out those heart-shaped fruits as early as May and keep us in strawberries until October — unheard of once upon a time when it was June or bust for strawberry season. They do it by using plastic mulch, which covers soil and keeps it warm enough for strawberries to grow in months when the season otherwise seems far away or a distant but fond memory. So that means I can keep living in denial about summer's end despite the scarf and socks, long pants and sleeves worn while doing it. Crazy, I know. Meanwhile, Mt. Ever-cuke is quickly eroding. 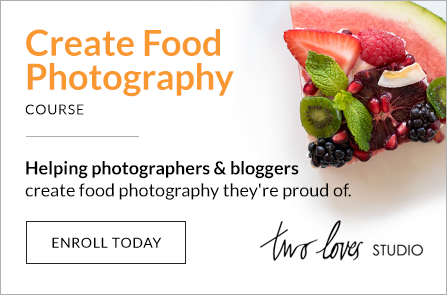 **** Before getting to the recipe that, if you don't want to make this year (for shame! 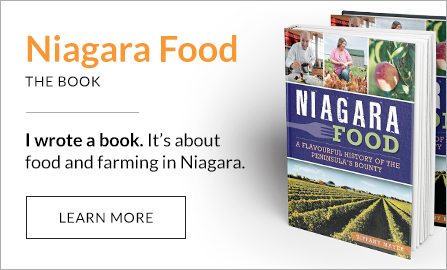 ), you can tuck away for next summer, I just wanted to thank everyone for their kind words and support these last two weeks as my book, Niagara Food, has been making its way to store shelves. It really has meant a ton to me. I was interviewed on CHCH's Morning Live show today and while there's a reason I went into print, I was grateful for the opportunity to hit the airwaves to say more good stuff about my beloved Niagara. Feel free to check it out, though it's best enjoyed with the recipe below. I realize seven is an odd number but that’s how many pops my mold has and the amount of liquid this recipe makes divided evenly into each mold. 1 cup of simple syrup (3/4 cup sugar dissolved on medium heat in 3/4 cup water) Set aside. 1 medium cucumber (no more than 300 grams). Cucumber Simple syrup 1/4 cup lime juice. Purée until smooth. Strain cucumber blend through fine-mesh seive and into large measuring cup. Add strawberries to measuring cup with strained cucumber liquid. 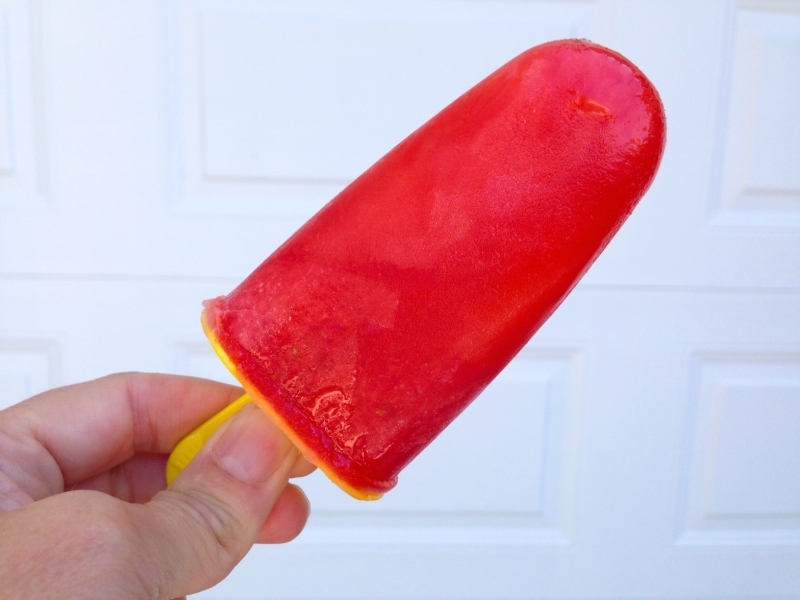 Pour mixture into popsicle mold with sticks inserted.